Africa Animals Birds Burkina Faso Bird stamps from Burkina Faso. Bird stamps from Burkina Faso. Burkina Faso also known by its short-form name Burkina – is a landlocked country in west Africa. It is surrounded by six countries: Mali to the north, Niger to the east, Benin to the southeast, Togo and Ghana to the south, and Côte d'Ivoire to the southwest. The country's capital is Ouagadougou. Its size is 274,200 square kilometres (105,900 sq mi) with an estimated population of more than 15,757,000. 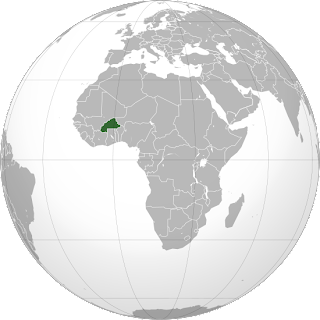 Formerly called the Republic of Upper Volta, it was renamed on 4 August 1984, by President Thomas Sankara, to mean "the land of upright people" in Mòoré and Dioula, the major native languages of the country. 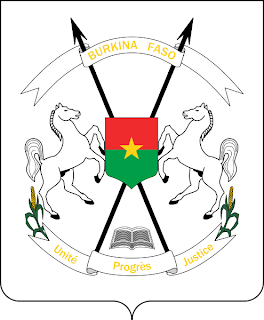 Figuratively, "Burkina" may be translated, "men of integrity", from the Mòoré language, and "Faso" means "fatherland" in Dioula. Burkina Faso was populated between 14,000 and 5000 BC by hunter-gatherers in the country's northwestern region. Farm settlements appeared between 3600 and 2600 BC. What is now central Burkina Faso was principally composed of Mossi kingdoms. Mossi Kingdoms became a French protectorate in 1896. After gaining independence from France in 1960, the country underwent many governmental changes until arriving at its current form, a semi-presidential republic. The president is Blaise Compaoré. It is a member of the African Union, Community of Sahel-Saharan States, La Francophonie, Organisation of Islamic Cooperation and Economic Community of West African States. Bulgaria is a country located in Southeastern Europe. It is bordered by Romania to the north, Serbia and Macedonia to the west, Greece and Turkey to the south and the Black Sea to the east.